KESLA harvester heads Take a look at the brochure! 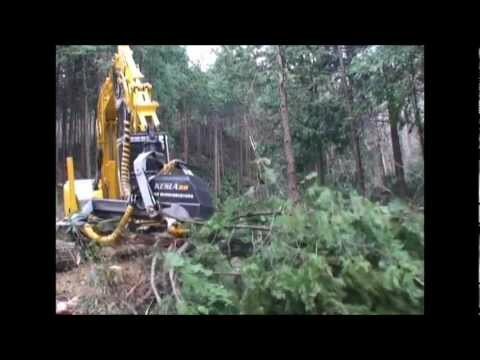 Kesla’s extensive experience in forest technology has given it superior expertise as a developer of harvesters. Kesla’s harvester family offers the market’s most comprehensive line of both roller and stroke harvester heads. 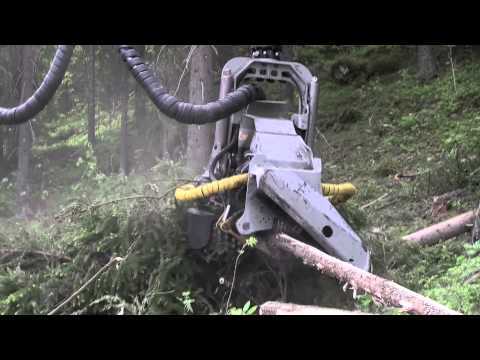 The product family also includes excavator harvester packages as well as special harvesters for eucalyptus handling. When developing the harvester head range, special attention has been paid on requirements of biomass harvesting. 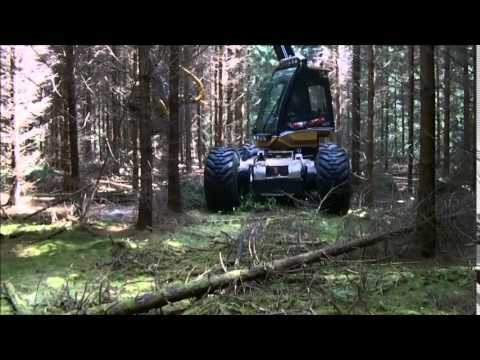 With optional accessories the Kesla harvester heads can be equipped for effective biomass logging in addition to conventional timber harvesting, without compromises. 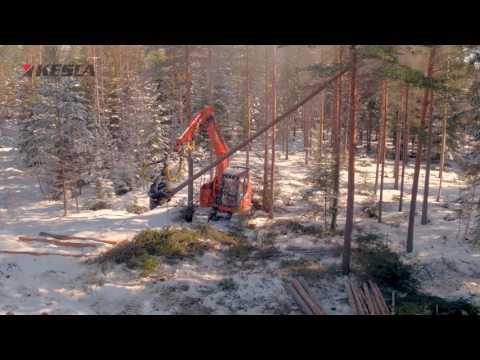 Kesla is a pioneer in the outfitting of excavators for harvester use. Kesla has an in-depth knowledge of almost all the excavator brands and their special requirements. When it comes to stroke harvesters, is Kesla is also the world’s market and technology leader. An extensive selection of cranes designed specifically for harvesting use supplements the range of harvester products. As a testimony to Kesla’s quality, several harvester manufacturers around the world have chosen KESLA as their original equipment. 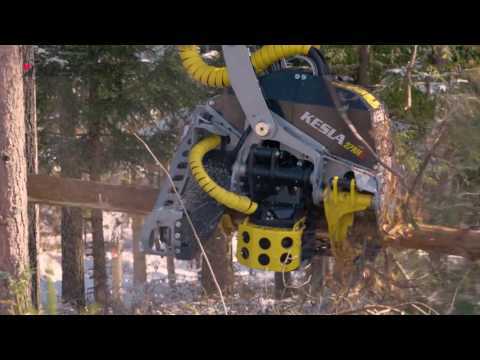 The design and manufacturing of Kesla’s forest machines complies with all applicable international quality criteria. All products pass through a rigorous quality assurance program as well as practical performance and safety tests; the principles of sustainable development guide every aspect of Kesla’s operations. Special attention has been paid for ease and convenience of daily maintenance. Thanks to the spacious structure of the Kesla heads, for example lubrication and change of hoses are easy to do. The Kesla heads are always equipped according to the needs of customer. With the wide range of optional equipment and accessories there is always a Kesla head that perfectly fits to you. The KESLA harvester heads are compatible with the common control- and measuring systems at the market. Kesla offers different versions of proLOG-system, which has superb price-quality-relation. Besides its extensive harvester head range suiting almost all excavator models, Kesla also provides comprehensive installation services and extensive accessory packages. Options selected by customers may include, for example, an installation kit for hydraulics, measuring and control system, Xtender boom and a full range of safety equipment. Frames of all KESLA heads are welded of steel plates to form a rigid one-piece construction. No bolted joints are used in the frames. The construction is light but extremely durable, thanks to the simple design and use of high-strength steel. Pivots are finally machined after welding, axles and bushings are perfectly aligned and exactly in the correct dimensions. Thanks to the well balanced construction and strong tilt pivoted close to the center of gravity, the KESLA heads are known of excellent balance both tilted up and down. 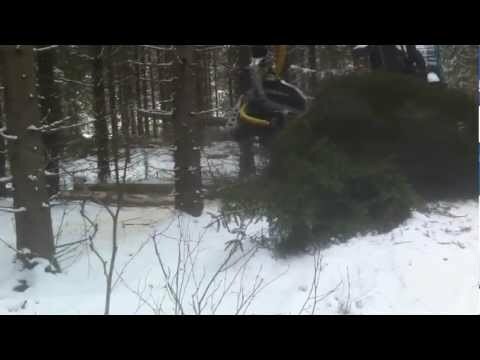 Grabbing a tree is easy, and correct balance in processing position results in good delimbing force and quality. Kesla is the only producer that offers JPS 5500 saw factory installed. 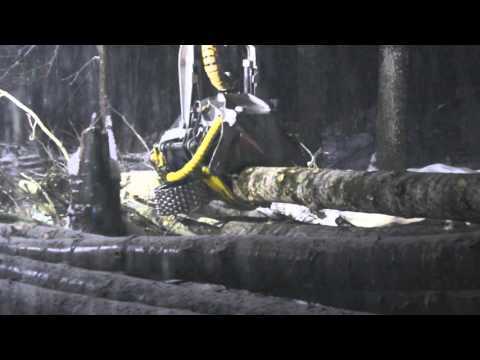 The JPS 5500 saw offers several benefits for the user: durable motor, better efficienfy, less fuel savings, lower operating and maintenance costs and substantially less cutting-induced crack than its traditional counterparts. With a KESLA head you will get the market’s best two-roller drive with unbeatable features: With only two feeding motors the construction of the head is simple, which results in excellent power-to-weight ratio and serviceability. Two motors mean also minimized flow resistance in hydraulics, meaning higher feeding speed and force with less fuel. 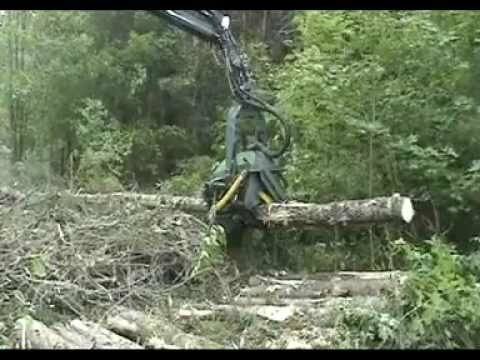 However, thanks to the ingenious roller links with variable roller angle (the rollers carry the weight of large-diameter trees to maximize grip while smaller trees are clamped between the rollers to minimize friction) and hydraulic anti-slip system, we don’t compromise in grip and traction force. Less is more! Kesla has extensive experience in excavator equipping for use in harvester applications in all different conditions around the world. Experience dates back to the roots of the 1980s, when machines designed as harvesters from the beginning were just entering the markets. In the 21st century, Kesla has been the fastest growing manufacturer of harvester heads on the market. The KESLA customer Severnaya Sosna has had the Hyunday R220LC-9S excavator (112 kW) and KESLA 28RHS harvester head combination now for 1,5 years. The combination has been working for about 4000 hours near Vologda region, Russian. Kesla sold its first harvester head to Japan in 2005. At the present, 2015, after ten years and over 10,000 hours of hard work the head is still the owner’s favorite tool in forest. 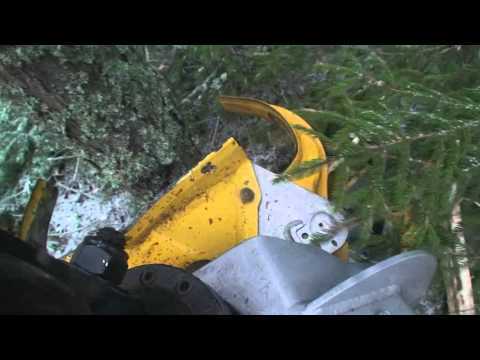 I have had my KESLA harvester head now for two years and I have used it constantly. I haven't really had any worries with it and it seems, that the basemachine need changing before the head. 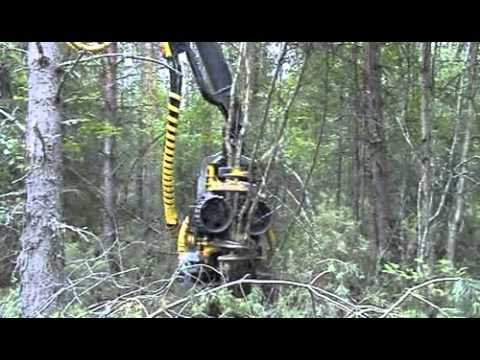 Minulla on ollut KESLA harvesterikoura jo kaksi vuotta ja käytän sitä jatkuvasti työssäni. Minulla ei ole ollut kouran kanssa juuri mitään ongelmia ja näyttääkin siltä, että alustakone menee vaihtoon ennen kouraa. What is the difference with stroke and roller harvester? 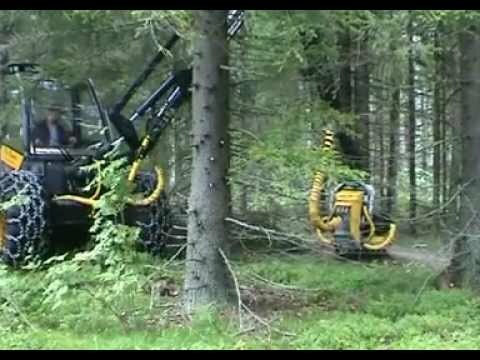 Stroke harvester suits also onto smaller basemachines, like diggers, which hydraulic oil flow would not be high enough for roller heads. Even with relatively low oil flow, stroke feed creats feed efficient enough to cut and delimber relatively big tree trunks. The product itself is produced of the same high quality materials than the roller heads. The measuring device is a part of standard delivery and equivalent to that of roller heads. The SH-heads are very widely used throughout the world. Why should I choose JPS R5500-saw? Depending on the harvester head model, the new saw unit utilises a 34cc or 40cc Sunfab motor and 22-tooth drive wheel that enable a sufficient chain speed to be reached at approximately 5,500 rpm. The low-rpm, high-capacity motor is much more durable in use than traditional solutions and operates at much better efficiency. In practice, this manifests itself as better sawing power and lower fuel consumption. In addition to the fuel savings, the technical solutions of the R5500 saw unit result in lower operating and maintenance costs: The saw unit utilises wide Iggesund JW-series saw bars, whose life span is many times that of traditional bars. The robust and wide saw bar bends and vibrates less, which, together with an efficient tensioner, ensures that the chain stays on in all sawing situations. The new double-sided and balanced drive wheel is designed to last for the entire service life of the harvester head. The JPS R5500 is a compact package that does not require external saw cylinders or position sensors. The saw bar motion is driven by a turning mechanism integrated into the unit, which also includes sensors that detect the position of the saw. According to the studies, it also produces substantially less cutting-induced crack than its traditional counterparts.